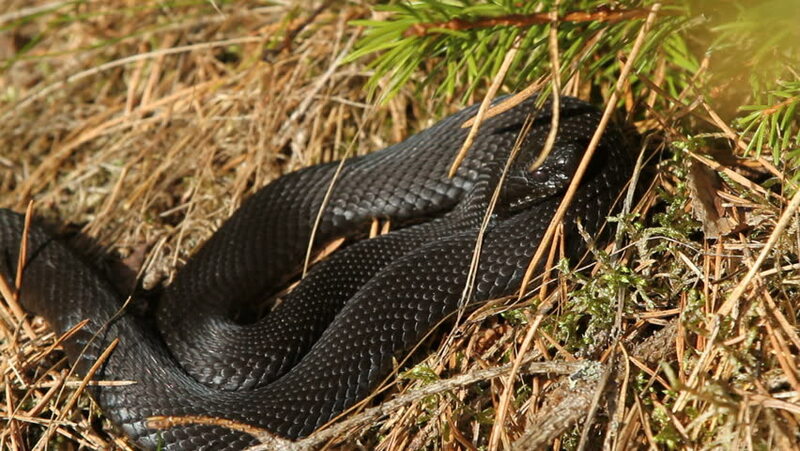 A black Common European Viper (or Adder) - Vipera berus in Sweden, sunbathing in the spring sun. You can see the snake breating. 4k00:27Black Ants carry supplies in a hole in the ground close-up.